Conveyancing is the process of transferring ownership of a property from one person to another. Most home movers hire a licensed conveyancer or solicitor (that specialises in this area of the law). Look for a ‘no move, no fee’ service, but avoid anyone that’s ‘too cheap’. How much are conveyancing fees? 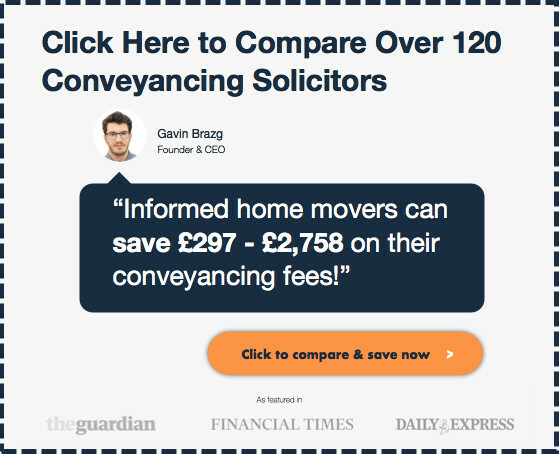 How do I find a good conveyancing solicitor? Should I use the conveyancer recommended by my estate agent? What’s the difference between solicitors & licensed conveyancers? Hot issues and what the future of conveyancing could look like? Conveyancing, (performed by licensed conveyancers or conveyancing solicitors), is the legal work involved in transferring a property from one owner to another. There are various strands to conveyancing but ultimately, it is a system of checking that the transaction is legal and, for the buyer, that there are no hidden issues with the property. The primary objective of the conveyancing process is to make sure a buyer is buying the house they think they’re buying – That’s it! In addition (when buying a property), your conveyancer will ask you to send over an upfront search deposit of £250-£350. This is just so your conveyancer has money on account to pay for disbursements on your behalf. It is not an extra cost as it’s accounted of in your final bill & completion statement. Property value – many conveyancing firms (ones stuck in the past in our opinion) still charge a percentage or a fee based on the value of your property – Avoid! Property tenure – conveyancing costs an extra £50-£250 more when buying a leasehold property due to the extra legal paperwork involved. Disbursements – if extra searches are required (eg. if you are in a mining or flood risk area), this will cost more. Indemnity Insurance – in some cases you may not be able to find essential paperwork such as guarantees or permissions, requiring either the buyer or seller to purchase an insurance policy to protect you if the missing paperwork becomes an issue. The Basic Fee – This is the legal company’s fees for their conveyancer’s or solicitor’s time. Disbursements – anything which they pay to outside agencies on your behalf, such as search fees, stamp duty etc Really they should be roughly the same from one conveyancing quote to the next. How much is the Basic Fee? The legal company’s basic fee (sale &/or purchase) can be anywhere from £300-£2,400 plus VAT. For leasehold properties, add an extra £50-£250 to cover the extra paperwork. For transactions involving a mortgage, add an extra £50-£250 to cover your conveyancer having to deal with the mortgage lender. Land Registry office copies (£4-£8 per transaction, ie one for buying, one for selling). Telegraphic Transfer fee (£20-£30 per transaction, ie one for buying, one for selling) – only payable on amounts of £60,000 or more as lower amounts can be sent free of charge via BACS. Bankruptcy search (£2-£4) – if you are buying with a mortgage. Local authority searches (£100-£200) – this varies according to authority, so providing a postcode will allow the legal company to give you a more accurate quote. Drainage search (£30-£40) – this varies between water companies. Chancel Repair Liability search (£10 + VAT), to check if you are liable to pay towards the upkeep of the parish church. Environmental search (£30-£35 + VAT) – to check for land contamination. 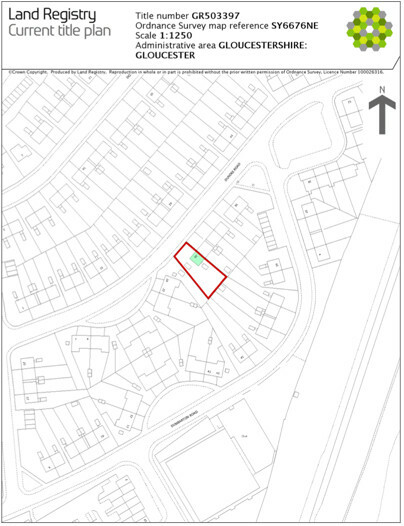 Location specific local searches (£40-£70 per search) – depending on the location of the property you are purchasing, additional searches may be required, such as mining. Make sure these are included in the quote by checking with your legal company as soon as possible. Land Registration Fee (£40-£700) – this depends on the value of the property you are buying. Fees are detailed here. Stamp Duty Land Tax (SDLT) – this should be calculated automatically and included in your quote. Find out what you will have to pay here. Photocopying (unless an excessive amount is required). Telephone calls (unless a large amount of overseas calls are necessary). Postage (unless an excessive amount is required). Completing and filing the Stamp Duty Land Tax form. Professional Indemnity Insurance, often listed as ‘PI contribution’. Many conveyancing quotes are out to trick you, so be warned! Because conveyancing has become such a competitive business, many firms employ tricks to make their quotes look cheaper than they actually are. Ask for a fixed quote that is the amount you will pay, not an estimate. Make sure the bill is itemised and all disbursements are listed. Read the terms and conditions carefully to look for hidden charges. Query anything you are unsure of. Avoid companies which charge extra for items which are part of normal business overheads and should be included as part of their service, eg photocopying, postage, etc. However, it is time-consuming, detailed and risky work. Lets say you’re buying a house and you miss something vital that only becomes apparent after the purchase. Do the conveyancing yourself and you have no recourse against the seller due to the common law principle of ‘caveat emptor’ (meaning ‘let the buyer beware’), which applies to property in the UK. End result, in an attempt to save £300-£500 you end up out of pocket by £10,000’s. At least if you hire a professional, they have professional indemnity insurance and so you can sue them for damages. And, if you’re buying with a mortgage, absolutely forget about it. No lender will allow you to attempt DIY conveyancing. They will insist you hire a professional (Licensed Conveyancer or Solicitor). More: Should you attempt DIY conveyancing? For relatively straightforward sale or purchase, expect the conveyancing of your home to take between eight and twelve weeks. However, it can be much less, or a lot longer, depending on many circumstances. More: How long should it take to sell you house? This depends on how quickly each organisation takes to respond. Many local authorities will turn searches round in about a week, some in a matter of days, but some can take up to six weeks to respond. This is usually two weeks, but does not have to be. You can request a longer timeframe if you are trading down and have a lot of items to get rid of. Or you can speed it up if it’s your first purchase, it depends on what is most convenient for you and what others in the chain will agree to. It’s wise to shop around, but don’t make your decision based on price alone. A conveyancing solicitor must be a member of The Law Society, while a conveyancer must be a member of the CLC. Get 3-5 quotes – make sure everything is included with a fixed fee (i.e. won’t change down the line) and never pay by the hour. Have they provided you with a list of ALL the charges? Ensure they have experience in your type of property, eg new build, leasehold, shared ownership, understand how to use the Help to Buy or Lifetime ISA deposit which can be less than 5%. Make sure you are given a named contact, and their direct contact phone number/email address. Are they easy to get hold of, willing to meet face to face, and available outside normal office hours? Do they get good online reviews? Are they able to work to your preferred timescale? Be on your lenders panel of approved solicitors. This will enable them to work on your mortgage without you having to pay extra. Think carefully before using any conveyancing solicitor recommended to you by an estate agent. Often recommendations are overpriced due to a substantial referral fee (circa £100-£300) being paid to the estate agent by the conveyancing firm. As a general rule, avoid conveyancing services recommended by ‘corporate estate agents‘ and ‘online/ hybrid estate agency’. 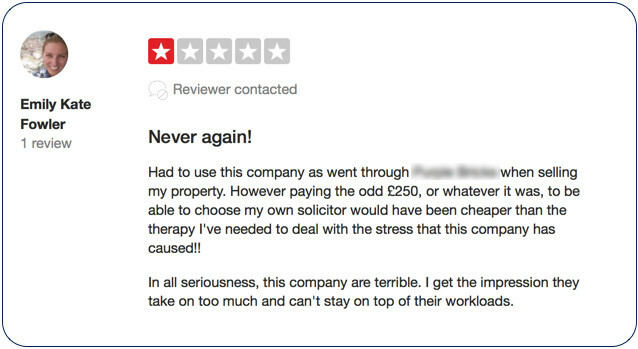 There are a worrying amount of horror stories online documenting incredibly poor / inept services levels from conveyancers recommended by these types of estate agents. Your estate agent may be less interested in earning referral fees and more interested in helping their clients move home successfully. As such, they may recommend somebody local that they have a good working relationship with and whom they know can be relied on. You will often find this is the case with the smaller by well-established independent estate agents. Ask the estate agent if they receive commission as this may inflate the bill and you may find a cheaper service elsewhere. Ask them how much commission they get. You don’t have to use the conveyancer/solicitor your estate agent recommends so compare their prices with other legal companies. Choose your conveyancer before you accept or make an offer so you can take your time and avoid having to make a rushed decision. Registers you as the new owner with the Land Registry. A licensed conveyancer is only qualified to practice property law and must belong to the CLC (Council for Licensed Conveyancers). Solicitors can offer legal services over an above conveyancing because they have wider experience and training in many areas of the law. Solicitors are more suitable for complex transactions that touch on more than just conveyancing (the sale of a property as a result of divorce being a classic example). Solicitors must be registered with The Law Society. Weeks 3-8 (or longer) – legal company examines searches and survey, raises questions with seller. Examines contract from seller. ‘Online’ conveyancing is the same as ‘high street’ conveyancing – it’s the same legal process. It’s just that with online conveyancing, all business is conducted online or over the phone – there is no high street presence. You don’t need to use a local high street solicitor; you are free to choose company advertising on the web. As with all things in life, some of the firms you’ll find online are terrible, many are average and some are excellent. What I will say is beware of huge conveyancing factories that have large teams of overworked minions dealing with inhumane case loads. Usually offer a ‘no sale, no fee’ and fixed fee service. Often offer online case tracking. Often have extended opening hours. Huge caseload can impact the quality of service, potentially slowing down your transaction. You may deal with somebody different each time, resulting in lack of continuity, having to explain things again. The service is unlikely to be tailored to your exact needs. Often the headline cost is low but you find lots of hidden costs in the small print. Unlikely to have a single point of contact. If anything unusual arises, your case may grind to a halt or, because they are working from a flow chart, you may be told you have to do something, when in actual fact there are ways around it. Should you use an online conveyancer? I’m based in London, buy and sell properties all across the UK and use a number of specialist conveyancing firms based across the UK. I have never met any of them face-to-face during the course of business. Everything is done, by phone, email and sometime post. If you should do the same really just comes down to whether you have strong feelings about the need to meet face-to-face, or if you have a real aversion to using email as a primary means of communication. …The truth is, all conveyancing solicitors have to carry out exactly the same local enquires and searches. Except in the case of tricky Leasehold property, ‘local knowledge’ doesn’t really play a meaningful part in the house conveyancing process. Title deeds are the official documents showing ownership of a property. They were originally paper documents but these days the Land Registry stores them electronically. Original paper deeds are usually stored by your mortgage lender or solicitor. If your property has not changed hands (or been remortgaged) since 1990, your deeds will most likely not be stored digitally and the original paper version will be required by the Land Registry to register it for the first time. Problems can arise in this case if the original paper deeds cannot be found. If you are not sure if your property is registered, for a small fee you can find out here. Even if your property is registered, it is a good idea to keep your original deeds as they contain useful information about boundaries, which is not included in the Land Register. You can register land or property here. If your deeds have been lost or destroyed, talk to your conveyancer or solicitor, as they can apply for a first registration on your behalf. The TR1 form (also known as the transfer deed) is the paperwork that transfers the property from one party to another. It must be agreed and signed by vendor and buyer, in front of an independent witness, before completion can take place. These days, it is often signed before exchange. When a property is registered with HM Land Registry, a Title Plan (previously known as the ‘filed plan’) is created. This is a drawing showing the property, and general boundaries. Exact boundaries are only shown if these were shown on plans contained in the title deeds. When you sell a property, you need to obtain an official copy of the Title Register to confirm you are the legitimate owner. The Title Register is the digital version of your title deeds stored by HM Land Registry. These are known as Office Copy Entries, and cost £3 from the Land Registry. They are usually sent with the Land Registry Title Plan, which costs an addition £3. Office Copy Entries contain the date and time of the official copy and is only valid for six months from that date. If completion is likely to take place more than six months after the date of the Office Copy Entries, a further copy should be sent for. When you purchase a property, your conveyancer or solicitor will order searches to find out more about the property and the local area. This is to highlight any potential issues, such as the risk of flooding or building work due to take place nearby. Certain searches apply to all property, while there are additional location-specific searches available, for instance if you live in a former mining area. Getting ‘searches’ is not compulsory for cash purchasers but they are a wise precaution, as you will have no redress if a problem arises later on. Mortgage lenders insist that searches are carried out. Your conveyancer will advise on what searches you should have ordered. This examines local plans and will tell you if the property is listed, if it is in a conservation area or if there are any other restrictions on the property, such as smoke-free zones, or livestock restrictions. It will highlight potential risks, such as flooding or radon gas, and may recommend that more detailed searches are carried out. Many people think this will also uncover any planning permissions (PP) applied for and although this can be done, it isn’t guaranteed, so if you are buying make sure you check local information sources such as print and online newspapers, for pending or possible planning, especially if it has yet to be applied for. This search is essential if you are intending to extend your home as if the extension will be over drainage, you will need to secure the water company’s permission. This finds out if you will be expected to contribute financially to the upkeep of the parish church. It can run into six figures, so is a must if there is a chance that this may apply to you. Although it has been harder since October 2013 for churches to impose this charge, it is still possible. This discovers if land in the area has been contaminated by industrial use, risks of subsidence and will often include a flooding search. Depending on the location of the property you are purchasing, additional searches may be advised. In the Midlands, for example, coal mining searches are often necessary. In Cornwall, tin mining searches may be advised. Leasehold is effectively the long-term rent of a property. Ownership of the property, the land on which it sits and the communal areas belong to a freeholder or landlord. As the leaseholder, you typically pay ground rent, a service charge and maintenance fees. Most flats and apartments in England and Wales are sold leasehold. The rules are different in Scotland, where leasehold is now rare. Leases should not be allowed to drop below 80 years as they become much more expensive to extend at this point. before you make any offer to purchase the property with a lease close to (or below) 80 years, find out how much it will cost to extend the lease. Most houses are sold freehold, which means you buy the building and the land on which it stands and own the ‘title absolute’. In 2017 there was controversy over some new build homes being sold as ‘virtual freehold’ with extra long leases of 999 years. This was coupled with ground rents increases that were unfair and punitive to the leaseholder. The government is currently in consultation about ending this practice. Leaseholders may jointly agree to purchase the freehold – this is known as collective enfranchisement – even if the landlord does not wish to sell it, due to changes in the law made under the 1993 Leasehold Reform, Housing and Urban Development Act. Certain criteria must be met, including at least half of leaseholders in a block being in agreement. The purchased freehold would then be run by a freehold company, which can be an external agency paid to do so, or formed by the leaseholders themselves. When your conveyancer has received all the necessary information relating to the property you’re buying, including the draft contract, survey, searches and, if leasehold, the leasehold information pack, they are in a position to examine them and raise any enquiries (questions basically). They do this to ensure the property you are buying represents a solid purchase. Ultimately it needs to be mortgageable (even if you personally are buying with cash) and there must be no issues with the property that mean it cannot be sold in the future. As well as the draft contract of sale, the draft contract pack contains information about the property being sold. Draft contract – this is the first version, before it has been agreed by both sides. Property Information Form (TA6) – containing information about access rights, drains, building work etc. Fixtures and Fittings Form (TA10) – stipulating which items are and are not included in the sale, plus those which are available separately and the price. Leasehold Information Form (TA7) – if the property is leasehold, this additional form gives details of the lease, the Management Company and service charges. When both the buyer and seller have agreed the terms of the contract, both parties then sign a copy and give instructions to their conveyancers to exchange contracts (i.e. send each other their client’s signed contract). The two legal representatives will usually exchange contracts formally, over the phone, with the conversation being recorded. This is a major milestone in the transaction as it makes it legally binding. If either party pulls out after exchange, they are likely to be liable for the other’s costs. When you instruct a solicitor or conveyancer, you must provide proof of your identity and address, usually with a current passport or photo driving licence, accompanied by a utility, council tax bill or correspondence from HMRC. Most conveyancers will use an online ID checking service and will charge you approx. £5-£25 for this per person. Due to the large amounts of money changing hands when property is bought and sold, there is a greater risk of fraud. Because of this, and to comply with Money Laundering Regulations, your legal representative must check your identity and address before proceeding. Your conveyancer could be held jointly responsible for any fraudulent transaction if they miss this vital step. The Law Society Conveyancing Protocol is a 31-page document detailing the duties and obligations of a legal company, whether acting for a buyer or seller. The system of transferring property ownership and legal ownership of property is always under scrutiny. 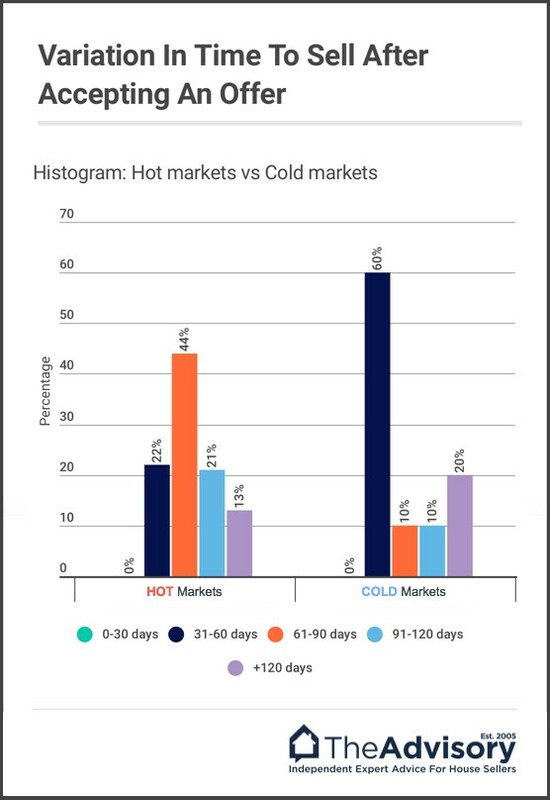 The main issue is the uncertainty when making an offer as to whether it will be accepted and once it is, the chances of the sale or purchase going through are only 70-75%, leaving a large proportion of buyers and sellers out of pocket. The fear of things like being ‘gazumped’ or the buyer not securing a mortgage to support the offer they have made and the feeling that the legal process is an unnavigable ‘black hole’ which constantly causes issues all contribute to people’s concerns. Add to this the strain that typically surrounds a life event such as death, divorce, having a baby, getting married or a change of job and possible location and moving is inevitably stressful. Technology is likely to play a big part in the future of conveyancing and has already resulted in the growth of online ‘conveyancing warehouses’ or ‘conveyancing factories’. While these may appear to keep costs down for many buyers and sellers, some of these companies have been caught for hidden charges, while others take on a bigger caseload than they can reasonably manage. In addition, the industry is keen for changes with a major white paper published in 2016 called ‘Modernising the Home Moving Process’. Helping to reduce the level of fraud and money laundering in the industry where properties are sold without the owner knowing and where legal companies account details are intercepted by criminals to allow them to steal buyers’/sellers’ money transfers. Better collation of Property Information and Title Information at the time the property is marketed. Recommendation to require a stronger legal commitment when offers are made to reduce fall through rates – which can range between 25 and 30% post offer stage. Earlier payment of completion monies rather than ‘on the day’ to reduce the possibility of sales falling through or being postponed due to transfer issues. Suggests that mortgage agreements in principle are achieved without affecting people’s credit score. The other changes which are on the horizon include a government review of the relationship between leaseholders and freeholders, particularly with regards to the scandal of new build homes being sold with onerous leasehold terms. In practice, the legal ‘power’ between a leasehold and a freeholder very much lies with the freeholder who typically has the financial resources to engage expert legal companies which is hard (and expensive) for a single leaseholder to fight. For any leaseholders having issues, you can get free help and support from lease-advice.org. The Government has been carrying out a consultation, which closed on 19 September 2017, on the relationship between leaseholders and freeholders and is expected to be considered during 2017/18. In addition to this consultation, there is a court case which has challenged the way freeholders price lease extensions, suggesting that people may be paying twice what they should be. The case is called ‘Mundy v The Trustees of the Sloane Stanley Estate’ and although the leaseholder lost the first round, it has now gone to the Court of Appeal. Update 2018: Freeholders won! Read all about it. Advances in technology are already allowing for greater transparency within the conveyancing process. 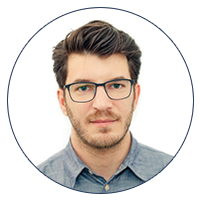 Many agents and legal companies offer online tracking and web tools, but the issue with these is they typically require manual input, so are reliant still reliant on human accuracy. However, one of the newest but most exciting changes is the introduction of a new automated system called View My Chain. Typically agents sign up to this service to help them track essential stages of the buying/selling process. However, it is possible for any buyer or seller to register with them – for free – to view the progression of the sale or purchase and even receive alerts if something – such as searches not being ordered – is causing a hold-up. Theoretically at least, this should result in greater accountability for agents, lenders, brokers, conveyancers and solicitors, with a greater incentive to keep the conveyancing process moving (eg. if they have failed to order a search, the buyer can discover this immediately and chase them up to find out why). Since 1804 Solicitors have held a monopoly over the residential conveyancing industry. Solicitors could charge what they liked because legally no one else was allowed to provide conveyancing services. It was only in 1985 that our Government did anything about this. They acknowledged a new ‘profession’ and allowed Licensed Conveyancers into the game and this has chipped away at the Solicitors’ monopoly. There is really no reason why you should ever have the need to meet your conveyancer face to face. Then by looking carefully online you’ll find that prices have fallen and efficiency and service standards have risen. You need to know ‘where’ to look because not all online conveyancing firms provide a robust service – many are too cheap and their staff too overworked to do the job properly. This is the curse of the internet and our love of online comparison shopping to find the cheapest price. In an effort to win business, companies compete on price driving down the cost of conveyancing. Sounds like a ‘win’ for the consumer but at some point the old rule “pay peanuts, get monkeys” starts to kick in. Role: Supports and represents solicitors, to enable them to help their clients, and ensures nobody is above the law. Role: Aims to protect consumers by regulating specialist conveyancing and probate lawyers. Role: Professional body working with the Council for Licensed Conveyancers (CLC) and providing support to licensed conveyancers. Conveyancing law governs anything to do with a land transaction from the formalities that a contract and a deed must adhere to, to what interests can exist in land and how and when they can or must be registered. It is of course an enormous subject and the purpose of this article is to give a brief overview of conveyancing law and the key legislation behind it. Modern conveyancing law was born in 1925, with introduction of two key acts of Parliament, the Law of Property Act 1925 and the Land Registration Act 1925. Before then, the system of conveyancing law had become confused and it was possible for two parties to have equally valid claims to the same piece of land or else the trail of how the land had passed form one party to another was often difficult to follow. Inevitably this led to numerous bitter disputes which had to be settled in the courts and Government realised something needed to be done. Of the two new acts in 1925 which formed the foundations of conveyancing law as we know it today, only the Law of Property Act remains in force. The Land Registration Act has been repealed and replaced by the Land Registration Act 2002. The Law of Property Act 1925, which remains in force today, defines the types of interests which are valid in conveyancing law. It reduced the different types of land ownership to just two – fee simple absolute in possession (freehold) and term of years absolute (leasehold). All land is technically owned by the Crown and what a land owner has is an exclusive right to use the land. This is known as a legal estate (or a “fee”). A fee simple absolute in possession is an unconditional right to use and occupy the land to the exclusion of others in perpetuity (forever) and with no limitation on the owner as to when and to whom he may dispose of it (for example by selling or gifting it). He must also have the right to immediate possession, that is the right to immediately occupy the property or, if it is subject to a lease, to immediately collect rents and profits. A term of years absolute is an exclusive right to use and occupy land for a fixed number of years. The Law of Property Act also defines other interests in land such as mortgages, easements (rights) and covenants. This particular conveyancing law, which has now been repealed and replaced by the Land Registration Act 2002, created a central registry for information on ownership and rights etc in relation to land which we now call the Land Registry. It made it compulsory for all land transactions to be registered with the Land Registry so that eventually there would be a central record of all land in England and Wales. Compulsory registration was far from immediate. It was enforced region by region and it was not until 1998 that all parts of England and Wales were affected. The goal of the 2002 act is to further streamline conveyancing law by removing as many overriding interests (interests which do not have to be registered to bind land) as possible and also to switch from a paper to an electronic register to pave the way for e-Conveyancing.